The ketogenic diet first gained popularity in the early 20th century, when it was discovered that feeding children with intractable epilepsy a very high-fat, low-carb diet could reduce the intensity and frequency of their seizures. Those children who responded to the diet by producing the most ketone bodies, an alternate fuel source made from fatty acids, had the best results. More ketones, fewer seizures. Thus, the diet was dubbed the ketogenic diet. 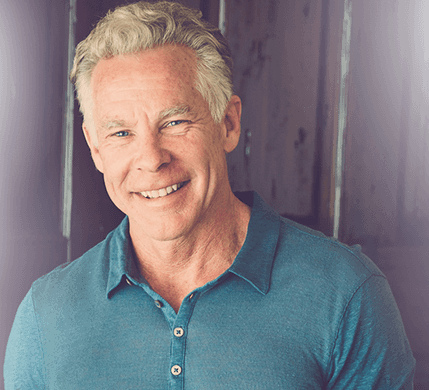 Fast forward a century, and regular people with and without serious medical conditions are using the ketogenic diet to lose body fat, improve metabolic flexibility, manage type 2 diabetes, reduce inflammation, increase injury recovery, improve cognitive function, and get off the sugar-burning roller coaster. It turns out that increasing your ability to burn fat and ketones can really improve your health, reduce your reliance on a steady stream of snack foods, and provide steady, even energy. The Keto Reset Diet takes this one step further, going keto while emphasizing healthy whole foods that our hunter-gatherer ancestors would have recognized as food. We honor our biology by restoring our ability to burn our own body fat—the entire reason we store body fat in the first place, for instant energy—without sacrificing the nutrient density of Primal eating. If you want to read more details on how keto can benefit your health, check out this post. But today, we’re going to see how the other popular diets stack up to keto. Do they provide the same benefits? Do they offer new ones? Are they even comparable at all? The paleolithic diet, or paleo diet, attempts to replicate the dietary environment of our paleolithic hunter-gatherer ancestors and eschews the foods that entered the human diet once we adopted agriculture. It argues that our genes haven’t had enough time or undergone enough selective pressure to adapt to the staples of agriculture. Okay, sure. Humans have continued to evolve in the last 10,000 years, and there are many examples of recent genetic adaptations to foods that weren’t available to our pre-agricultural ancestors. However, paleo remains a very good baseline diet with strong clinical support for lowering blood lipids, improving colon cancer risk, and losing weight. Eat: Meat, fish, poultry, eggs, nuts, seeds, vegetables, fruits. Avoid: Grains, legumes, dairy, sugar, industrial seed oils. Keto is explicitly low-carb, high-fat. Paleo, with its emphasis on animal foods and vegetables, often ends up fairly ketogenic, but this isn’t a rule. 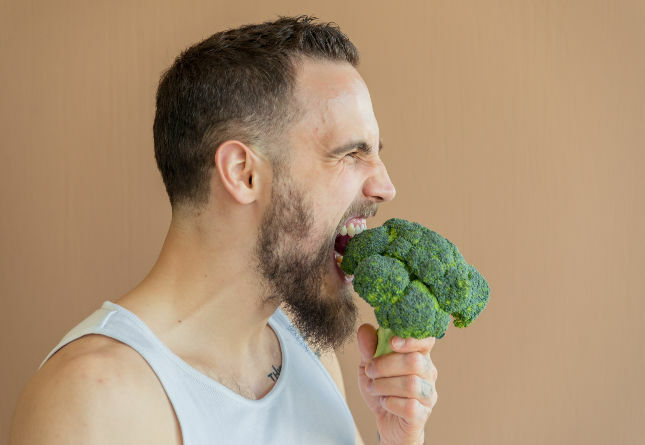 Technically, paleo is macronutrient agnostic, meaning it can be high-carb or low-carb or anything in between as long as you eat the allowed foods and avoid the banned foods. A high-carb paleo diet might include a lot of roots, tubers, and fruit. A low-carb paleo diet might include a lot of nuts, seeds, meat, eggs, and non-starchy vegetables. Both would be paleo; only the latter would be ketogenic. Paleo can certainly be keto, and “paleo-keto” is actually a fantastic way to do the diet. Combining high-fat, low-carb with an emphasis on nutrient-dense foods that closely resemble the foods humans ate for tens of thousands of years prior to agriculture works for childhood epilepsy (the “gold standard” for whether a keto diet does what it’s supposed to do)—and it’s actually the basic pattern I follow, with a few modifications. Although we don’t have explicit evidence of the combination in adults, I see no reason to doubt its effectiveness. Keto’s great for improving cardiovascular risk factors, dropping body fat, and lowering the risk of type 2 diabetes. So is the paleolithic diet. 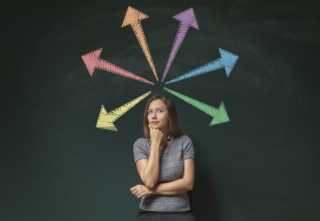 Why would combining the two suddenly nullify the benefits of both? Low-carb, or the Atkins diet, is a classic gateway drug for paleo, Primal, keto, and everything else. Atkins gets a bad rap. Yet sift through the Atkins bars and Atkins shakes and Atkins tortillas and all the controversy surrounding the good doctor’s death to focus on the original diet itself, and you’ll realize that Atkins isn’t a bad way to eat. It’s basically low-carb Primal: meat, fish, non-starchy vegetables, nuts, seeds, and full-fat dairy. There’s even a “maintenance phase,” where after reaching a good body composition you can relax your carb standards a bit, allow a few more fruits and maybe some potatoes here and there, and begin to approach the 150 g carbs/day zone on the Primal Carbohydrate Curve. People have the notion that it’s all bacon and salami and brie and hot dogs and lunch meat, but that’s just not the case. As for the relative merits of low-carb/Atkins compared to keto, the two are very similar. Low-carb gets you fat-adapted. Keto gets you there faster. Low-carb famously helps people inadvertently reduce calories without suffering abject hunger. Keto does the same. Low-carb preserves muscle and burns fat during weight loss. Keto does too. Low-carb is probably easier for most people, especially newcomers to the alternative diet scene, and can actually be a great entry point that eventually leads to full-on keto. A clinical entity called the “modified Atkins,” while less restrictive on carbs and protein than the classic ketogenic epilepsy diet, can also improve epilepsy outcomes. The Mediterranean diet concept arose when researchers in the middle of the 20th century noticed the healthy longevity of folks living in the Mediterranean region, saw some similarities between the traditional foods they ate, and threw together an amalgam of foods generally available and traditionally consumed in the region’s countries, including Spain, Italy, Greece, and southern France. Eat: Olives, olive oil, hard cheeses, whole grains, legumes, fish, nuts, seeds, fruit, vegetables, tubers, some poultry, a little red meat. Avoid: Processed food, refined grains, refined sugar. The Mediterranean diet is one of the better mainstream diets. It eschews processed food, emphasizes whole foods, and highlights some very nutrient-dense foods, like fatty fish, extra virgin olive oil, and non-starchy vegetables. Even the emphasis of legumes over grains is a positive, as the former are far more nutrient-dense than the latter. It’s higher in fat than conventional low-fat diets, and, although it doesn’t specifically call out industrial seed oils, its emphasis on extra virgin olive oil crowds out bad oils than interfere with metabolic health and inflammatory status. In studies, the Mediterranean diet performs well against conventional diets, just like keto. There are different, lower-carb versions of the Mediterranean diet, including both a paleo Mediterranean diet (no grains, legumes or dairy) and a low-carb/keto Mediterranean diet (high fat, very low-carb). What’s funny (and unsurprising) is that these lower-carb Mediterranean diets consistently outperform higher-carb Mediterranean diets, improving fatty liver, treating metabolic syndrome, increasing weight loss without damaging blood lipids, lowering HbA1c, and dropping waist circumference. They do this by including more red meat, full-fat dairy, using more extra virgin olive oil, and eliminating the “healthy” whole grains and limiting the legumes. If you have to choose a diet that your cardiologist will support, consider going Mediterranean and then sneakily shift it toward a ketogenic pattern. The Whole30 is an elimination diet. For 30 days, you remove a host of common foods that many lines of evidence have determined to be common triggers of food intolerance, poor gut health, and inflammation. You should feel better, enjoy better digestion, and even lose some weight. After 30 days, you reintroduce the foods you removed, one at a time. When the negative symptoms return, you’ve identified the culprit(s) and can decide to move forward with or without them. You won’t find any scientific papers that specifically name the Whole30. You will find a paper illustrating the potential power of the autoimmune paleo protocol—which is very similar to Whole30, if a bit more restrictive—to improve gut health and reduce the symptoms of inflammatory bowel disease. That’s serious stuff. IBD is no joke. If the autoimmune paleo protocol can do it, the Whole30 should have a similar effect. Even though Whole30 is designed to identify foods that disrupt your digestion, increase your inflammation, and generally impair your health, it also happens to be a great weight loss tool. There are many cases of people who do a Whole30 to feel better and end up losing 15 or 20 pounds without even trying because they eliminated refined carbs and started eating more fat and protein. The Whole30 and keto have different goals. Whole30 is about identifying food intolerances and improving gut health. Keto is about improving health, losing weight, and becoming a better fat burner. Despite their different focuses, Whole30 and keto dieters can end up in a similar spot: a fat-burning beast with better gut health and less body fat. The Dukan diet is a quadruple whammy: high-protein, low-carb, low-fat, low-calorie. Given its restrictive nature—removing both carbohydrates and fats, dropping overall calories, and increasing protein—the Dukan diet is more of a temporary fat loss measure than a sustainable lifestyle. It follows four phases. Phase 1: Nothing but animal protein in unlimited amounts. Keep it as lean as possible, minimize any cooking fat. Some oat bran is allowed for regularity. Lasts for 1-7 days, depending on how much weight you have to lose. Phase 2: You can start adding non-starchy vegetables to your lean animal protein. However, alternate between eating just protein and eating protein plus vegetables. Protein on one day, protein and veggies the next. Stay on Phase 2 until you hit your goal weight. Phase 3: You can add in some other foods. Each day, eat one serving of fruit (excluding figs, cherries, bananas, or grapes), two servings of whole grains, 1.5 ounces of hard cheese, one serving of starchy food. You also get to have one celebration meal per week—an appetizer, an entree, a glass of wine, and a dessert—and your animal protein can now include fattier cuts like ham, pork, and lamb. Gradually double your intake of fruit, starches, and celebration meals. Phase 4: You can start returning to a normal diet, making an effort to continue with some of the tools and lessons you learned throughout the previous three phases. To stay on track, eat 3 tablespoons of oat bran each day, take the stairs and never the elevator, and make one day each week a pure protein day (where you eat nothing but lean protein). The first couple phases of the Dukan diet are very similar to the Protein Sparing Modified Fast, a clinically-tested (but very difficult to maintain) rapid weight loss diet. The PSMF usually lasts between 1-2 weeks in the mostly-lean-but-want-to-see-my-abs-without-flexing community, but can be safely maintained much longer in the severely overweight or obese. In obese patients, a PSMF allowed 47 +/- 29 pounds of weight loss. By the end of the maintenance period, most of the weight was still missing, so it was pretty successful (particularly in those who had the most to lose). A 2-week 400-calorie PSMF was safe and effective in obese patients, especially compared to a 400-calorie liquid protein diet. The PSMF results suggest that the Dukan diet will almost certainly result in weight loss, and the high protein content should ensure you hold onto at least some of your lean muscle mass and burn a good amount of fat, but it probably isn’t a sustainable way to live. Phase 3 of the diet can certainly be modified in a more Primal direction by eliminating the grains and making sure your starchy foods are something like potatoes or sweet potatoes. If I had to pick, I’d suggest maintaining Phase 3 rather than moving on to Phase 4 and trying to reincorporate a “healthier” version of the diet that made you fat in the first place. As for keto and Dukan, the two share only surface level similarities. The Dukan Diet is low-fat. Keto is high-fat. The Dukan Diet is low-carb (for the first two phases). Keto is low-carb. The Dukan Diet is high-protein. Keto is moderate protein. The Dukan Diet might work a little quicker, at least in those first furious few days of protein gorging, but keto will be more sustainable. The carnivore diet is self-explanatory. You eat animals and nothing else. Eat: Meat, as much as you want. Emphasis on ruminant meat (beef, lamb, bison). Eggs, seafood, poultry. Sometimes dairy. Carnivorous diets will often be ketogenic, depending on how protein affects your ability to generate ketones. Some people have to reduce protein, others can keep it fairly high and still produce ketones. Your mileage will vary. Both are extremely low-carb, unless the carnivorous diet includes tons of fresh kills still brimming with muscle glycogen. In infants with epilepsy, a ketogenic diet reshapes their gut biome to resemble that of healthy infants. In a recent case study, a paleolithic ketogenic (similar to Keto Reset) diet successfully treated Crohn’s disease, a severe bowel disorder. In terms of other health conditions, keto clearly has more clinical support overall, seeing as it’s been used to treat childhood epilepsy for over a hundred years and the idea of a carnivorous diet for humans would give your average nutrition researchers a heart attack. Still, there’s the compelling case of Vilhjmajur Stefansson, the Arctic explorer who attempted a carnivorous diet after becoming enamored with the dietary habits of the Inuit. He and a colleague thrived. But in his own words, Stefansson wasn’t just eating steak and ground beef. He ate “steaks, chops, brains fried in bacon fat, boiled short-ribs, chicken, fish, liver, and bacon.” All those “weird” cuts gave him critical micronutrients otherwise difficult to get from just steak. The brains would have provided omega-3 fatty acids, copper, selenium, and vitamin C. The fish would have provided omega-3s, selenium, and (depending on the species, with halibut being a prime example) magnesium. The liver would have provided retinol, vitamin C, selenium, choline, and folate. These foods are missing from many modern carnivorous diets. That’s a mistake, I think. For a full writeup, check out my post on the carnivore diet from a few months back. Long story short, I think it may be a viable option for some people, particularly those with massive food intolerances and/or inflammatory bowel disorders, but most people would benefit from a little plant matter that keto generously allows. Eat 6-11 servings of organic veggies. Eat 5-9 servings of oils, fats, nuts, seeds, legumes, and/or full-fat dairy. Eat 4-6 servings of protein. Eat 1 serving of starch or fruit. The foods in each category exist on a spectrum of toxicity, with higher levels meaning you can eat more freely. Among veggies, non-starchy ones are best; the starchier you go, the less you should eat. Among oils and fats, egg yolks, MCT oil, cacao butter, coconut oil, avocado oil, butter, ghee, and fish oil are best. Seed oils and trans-fats are to be avoided. Among nuts and seeds, coconut, almonds, mac nuts, and Brazil nuts are best. Soy and corn nuts take last. Among dairy, raw, pasture-raised butter, cream, milk, and yogurt are best. All cheese and factory-farmed dairy should be avoided. Among protein, Bulletproof brand protein supplements, grass-fed beef and lamb, pastured eggs, and low mercury fish top the list. At the bottom lie factory-farmed fish, high-mercury seafood, soy, and plant protein supplements. Bulletproof gives great guidelines and lets the user figure out the details. It does a pretty good job of describing the optimal diet—maybe too good a job. Anyone who’s aware of the science would leap at the chance to dine exclusively on grass-fed ruminants, raw fermented dairy, pastured egg yolks, wild seafood, and loads of non-starchy organic vegetables. Few can, though. Most people will have to make a few concessions. Maybe they get farmed salmon for $8/lb instead of king salmon for $22/lb. Maybe they get the 24 pack of organic eggs for the same price as a dozen pastured eggs. It’s not “ideal,” but it’s still far better than the norm. I have another qualm that may seem minor but isn’t in my world: the removal of cheese. Cheese has one of the better safety and nutritional profiles of all dairy foods. It’s traditional, with cheese making stretching back thousands of years. It’s fermented, which means most of the lactose has been consumed by bacteria and much of the potentially problematic casein has been modified to be more tolerable. I see no real reason to avoid it. The Bulletproof diet is certainly compatible with keto. If you follow the guidelines and eat mostly non-starchy vegetables, healthy fats, and high-quality animal protein (and maybe some hard cheese), you’ll be on a high-fat, low-carb ketogenic diet. Clean-Eating is the most difficult diet to pin down. Eating lean meats, avoiding overly fatty meats. Skinless chicken breast, not skin-on chicken thigh. Eating whole grains, like whole wheat bread, oats, and brown rice. Eating “healthy fats,” like peanut butter, almonds, and avocados. Emphasizing protein, then carbs, then fat. Eating more plant-based food, limiting meat. Drinking smoothies, usually containing at least one of the following: turmeric (seldom with black pepper to increase bioavailability, though), ginger, garlic, beets, kale, sprouts. Mainlining millet, BPS, agave nectar. 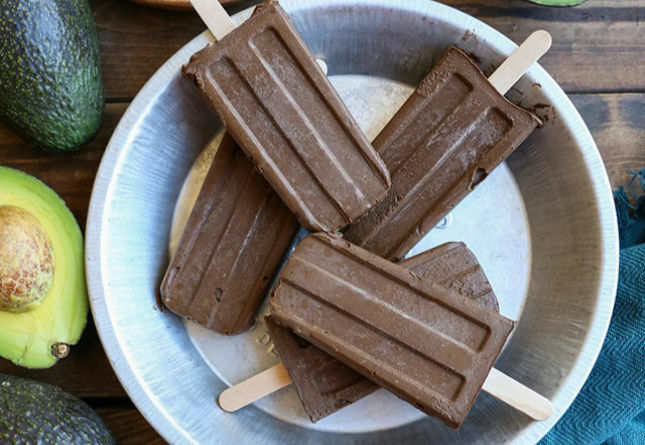 Pseudo desserts like chia puddings, frozen bananas on a stick drizzled with nut butter. The binding principle among all clean eating camps is belief in “unhealthy foods,” foods that are inherently flawed and harmful—either to one’s health, one’s body composition, one’s gains, or all three. What those unhealthy foods consist of depend entirely on which camp a person subscribes to. I’m not going to disparage clean eating, even if it’s fun to tease. Both Primal and keto have many characteristics of clean eating; almost every diet does. We can justify our classifications of “unclean” foods with references to the scientific literature and through evolutionary perspectives, but we still have pretty strong ideas of what constitutes a healthy food. 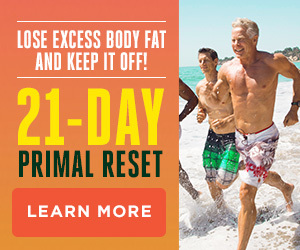 What About the Primal Blueprint Way of Ketogenic Dieting? My word isn’t the final one. The two primary criteria for a good diet is that you can follow it and it actually works for you. Tens of millions of people happily follow the Standard American Diet, but it doesn’t work for them. You must find something that you can actually maintain. 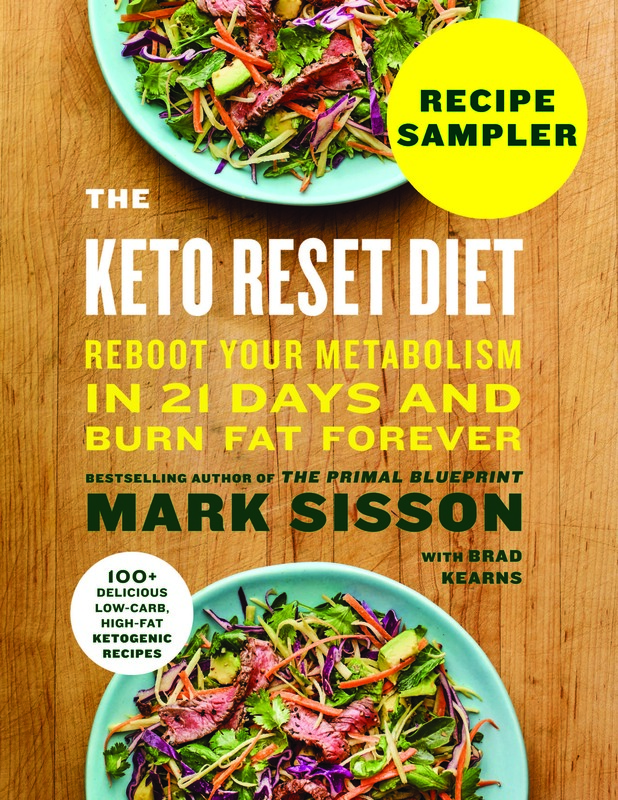 My personal brand of Primal Keto—the Keto Reset Diet—just seems to work really well for a large number of people. 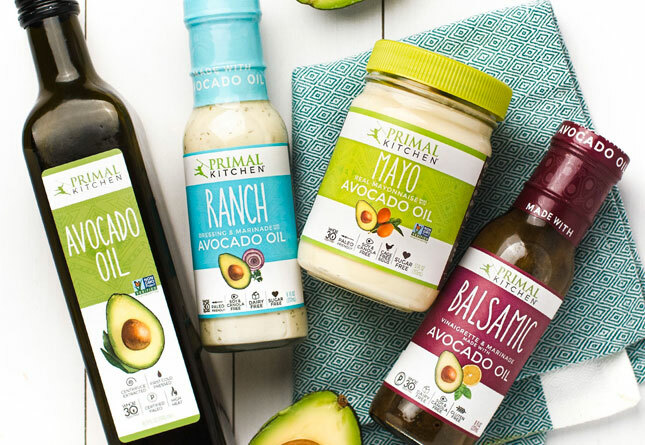 What sets Primal Keto apart from most other diets? It turns you into a fat burner. This builds the fat-burning mitochondria that allow you to utilize stored body fat, process more energy, and skip meals without losing your cognitive edge or collapsing into a hangry vortex. It increases satiety. Not being hungry is a huge boon to any dieter. Diets get a whole lot easier to follow when you’re not engaged in a constant battle of the will. It focuses on fat quality, not just quantity. By paying attention to the quality of the fat you eat, emphasizing healthy monounsaturated and saturated fats rather than seed oils high in omega-6 polyunsaturated fats, you make your mitochondria more resilient and efficient. It focuses on nutrient density. Conventional keto dieters who focus only on “fat” and “carbs” run the risk of missing out on crucial micronutrients found in plant and non-traditional animal foods (organs, shellfish, fish). It’s adaptable. Once you’re truly fat-adapted, you’ve built a strong arsenal of fat-burning mitochondria, and your brain isn’t as reliant on glucose, you can loosen up. You can enter the “keto zone,” where instead of rigorously counting carb calories, you drift in and out of ketosis as you see fit. Anyway, folks. That’s all I’ve got for today. Let me know what you think down below. Let me know how you think keto compares to all the other diets out there. Sharma S, Jain P. The modified atkins diet in refractory epilepsy. Epilepsy Res Treat. 2014;2014:404202. Gershuni VM, Yan SL, Medici V. Nutritional Ketosis for Weight Management and Reversal of Metabolic Syndrome. Curr Nutr Rep. 2018;7(3):97-106. Clemens Z, Kelemen A, Fogarasi A, Tóth C. Childhood absence epilepsy successfully treated with the paleolithic ketogenic diet. Neurol Ther. 2013;2(1-2):71-6. Bueno NB, De melo IS, De oliveira SL, Da rocha ataide T. Very-low-carbohydrate ketogenic diet v. low-fat diet for long-term weight loss: a meta-analysis of randomised controlled trials. Br J Nutr. 2013;110(7):1178-87. Goday A, Bellido D, Sajoux I, et al. Short-term safety, tolerability and efficacy of a very low-calorie-ketogenic diet interventional weight loss program versus hypocaloric diet in patients with type 2 diabetes mellitus. Nutr Diabetes. 2016;6(9):e230. Mattei J, Sotos-prieto M, Bigornia SJ, Noel SE, Tucker KL. The Mediterranean Diet Score Is More Strongly Associated with Favorable Cardiometabolic Risk Factors over 2 Years Than Other Diet Quality Indexes in Puerto Rican Adults. J Nutr. 2017;147(4):661-669. Xie G, Zhou Q, Qiu CZ, et al. Ketogenic diet poses a significant effect on imbalanced gut microbiota in infants with refractory epilepsy. World J Gastroenterol. 2017;23(33):6164-6171. Wow, excellent synopsis of most of the popular diets out there, thanks! I’m currently following an autoimmune paleo protocol to see if it helps my thyroid function. Giving up dark chocolate (for now) is the hardest part LOL. How could you not mention the Perfect Health Diet? I’m not sure PHD qualifies as a “popular diet trend.” It’s got a lot going for it in terms of being fairly sensible and very well researched, but how many people have actually ever heard of it? I agree with Tracy. 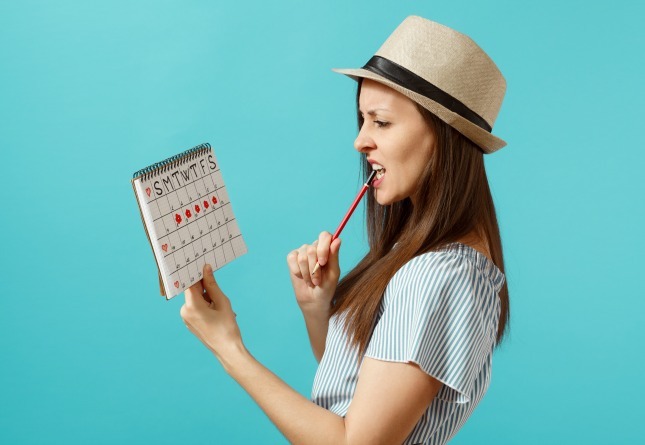 It’s a very well-researched diet and I had a lot of fun on it – I was literally eating all day to get my one pound of each group of foods – but I don’t think it is very well known. But yes, you could do a lot worse than the PHD. Wow Mark. Thanks for defining all of these in such an incredibly defined way! It all makes sense now. You are a true genius. Thanks for all of your incredible knowledge. Interesting read and life style change vs diet plan. I find that if I mashup Gundry and Keto, I end up carving out too much to comply. The third or fourth time I reread Paradox, my mind opened enough to let his ideas in and I let him push me away from legumes. I don’t plan to let go of the evile lectins in tomatoes, peppers, and eggplant. I’ve found a good place of eating plants decorated with animals and maybe, who knows, I’ll end up living one more day than if I was 15th in line at the Chick-Fil-A drive through. Or I could get hit by a bus and spill my MCT-infused organic fair trade coffee all over the sidewalk. Roll the dice. Just the comparisons I have been hoping to read .its perfect to have the other diets lined up and analyzed in one article. The old way of eating after the 30!days. 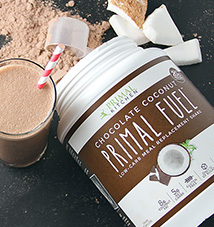 You need to plig Primal more, not just the keto piece. I’ll stick with ‘Primal’ because you deliver the info well and make clear we have to think for ourselves. I actually failed on Adkins because they weren’t clear on the replace with fat not with high protein piece so I stayed glucose burning for many years, fighting hunger pain and weight gain while my blood factors somehow improved a little. On Primal I’m 45 pounds down from 190 and doing half marathons and Sprint Tris…..for the first time at age 53! And my blood pressure sits low as well as everything else! Come visit, I’ll show you how to drink your coffee black again…hehehe.. I agree, Richard. The Primal diet works well for me, usually around 90/10. I derive plenty of health benefits and maintain a normal weight without the need to weigh, measure, and count everything I put in my mouth, all the while worrying whether or not I’ve fallen out of ketosis. Keto is too extreme for me and probably not really necessary for most people. I don’t do coffee. It gives me GI tract issues. I do drink tea, mostly green or black, and no, I don’t dump a lot of other stuff into it. It’s always plain, unsweetened, often with a wedge of lemon. It’s no exaggeration to say that a small bag of sugar would last a hundred years at my house. Do you believe that there is just one perfect diet for everyone? Thanks for the knowledge, Mark! I’m on the hunt for a “diet” plan for my 8 year old grand-daughter that was just diagnosed with “Absence seizures”. Her father has them too, but if I can find something for her, then perhaps he can do it as well! Thanks for all the good info. Today is my first day of eating primally, still have lots to learn. 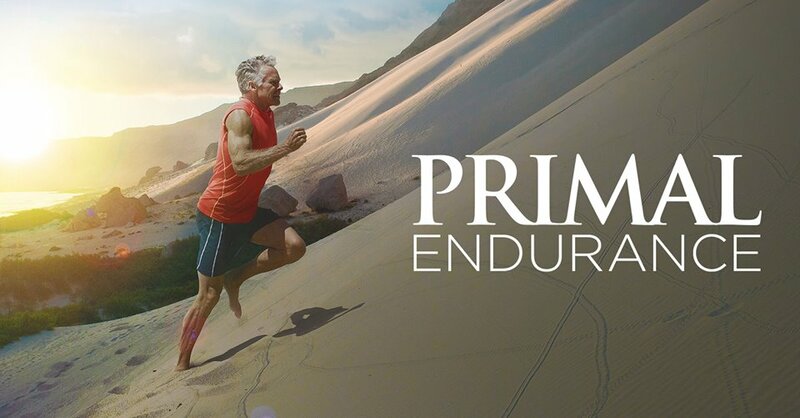 As a chronic training triathlete, i am also starting to train primally, at 66 years old i don’t think my body can take another 6 months of chronic training for an HIM, my ultimate goal for 2020 is a full IM SO I CAN’T WAIT TO FEEL THE BENEFITS of eating and training the primal way..
Well done sir! I was given your book,The Primal Blueprint 21-Day Total Body Transformation: A step-by-step, gene reprogramming action plan, for Christmas in 2011. I have been Keto ever since then. I lost 80 pounds in 10 months and resolved all my health issues. I was 65 years old in 2011. I am now 71 years young and and have an abundance of energy. Before Keto I weighed 253 pounds and had extreme high blood pressure and was Pre-Diabetic. Dr. Dukan came out with another program and book called: The 7 Steps of the Nutritional Staircase in 2015. It is similar to his original diet but in my view gives more options immediately to your diet. I had about 10 Lbs to drop – the dreaded last 10 Lbs. and it worked like a charm. It also has a program to help with transitioning to a stabilization of your weight that he guarantees will work for everyone regardless of the diet you were on. I find you can make either phase paleo.quite easily. One thing to consider in the carnivore vs keto question is satiety. Fat, protein and fiber are all extremely satiety-inducing, so those who have a problem with undereating when trying keto might benefit from trying carnivore, just so they can get in enough calories to survive while finding out whether keto has benefits for them. “We divided up the caribou in ordinary Eskimo style, so the dogs got organs and entrails, hams, shoulders, and tenderloin, while the invalids and we hunters got heads, briskets, ribs, pelvis, and the marrow from the bones. A similar thing is mentioned at the beginning of the same text: the heads are considered by the eskimos to be the best part of the fish, whereas the entrails are not eaten. In fact, the only mention of liver is in the one-man Andersen experiment (from which you took the quote), and that might very well be due to liver being a component of traditional Danish cuisine. It seems that the main common denominator in all three examples is the inclusion of the head or brains of whatever animal was being eaten. I wonder which parts of the head they ate particularly? And by the way, thanks for the tip. I’ll be sure to read the rest of Stefansson’s writings when I can get hold of them. I’m just wondering what you think of a very ‘primal’ 95% vegan like diet? I have Chron’s disease, but despite the data showing a carnivorous diet helps IBD I have found through a lot of trial and error I cannot handle cooked muscle or organ meat of any kind without a lot of pain. I feel best on this, but wouldn’t really quantify it as any of the above diets. Anything you think I could be missing out on eating this way? I’m a slim female with a high glucose tolerance if that helps. That has to be one of the MOST useful posts ever, Mark. Thank you for getting all that incredibly helpful info together. Thank you for all of this, Mark! I’d love to try Keto again but cannot handle dairy and was too exhausted to work out (which is my stress reliever). I’m not overweight so that’s not an issue and am currently doing an herbal protocol for SIBO. Could clearing SIBO make dairy easier for me? And therefore Keto successful? Alicia, you should check out Cristina Curp’s website Castaway Kitchen or her book, Made Whole. It is keto with an AIP focus, so it’s all non dairy with other options for making it allergen friendly. Love your articles! Question, I am Hypothyroid have been for years. I had right lobe removed 15 years ago and now left side is inactive. Taking Synthroid for life! I have read Keto is NOT good for hypothyroid, is this anything you know about? Thanks for any info! Thanks for the list of diets and while they work for the majority, hypothyroidism is a lot more complicated when it comes to dieting. The study you mentioned to Lolly was done on men and that alone will change the outcome of weight loss, hormonal health etc found in women that attempt that same diet. Really wish that someone out there doing such studies would use women! Hello! It’s predominantly a woman’s disease yet most studies are done with men. Mark I’m so thankful that you have women’s health topics just wish you (because you are awesome! 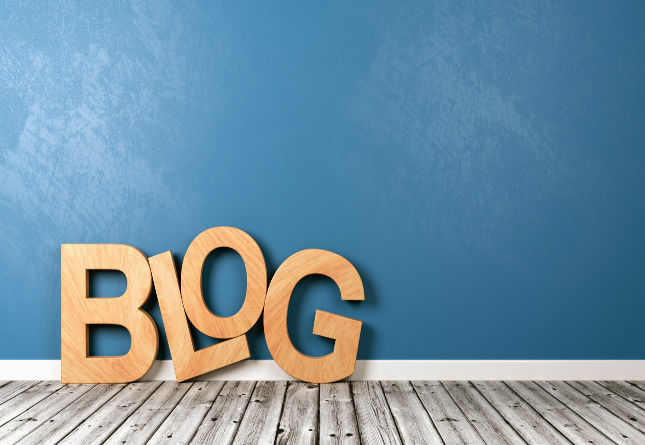 and are one of the best bloggers) could send a challenge to doctors, researchers and scientists to start using women in studies as much as men. Thank you Mark ? I would love to see some comment on the vegetarian diet please. IMHO, any popular diet-of-the-moment should be compared to the diets of the 5 Blue Zone populations as these folks apparently thrive well into their 90’s without fattening (pun intended) the wallets of various diet gurus. Hey Bulletproof Dave, where is the olive oil? You said: “Atkins gets a bad rap”. It should be Atkins gets a bad “rep”. The correct word (rep) is short for reputation. Thought you might like to know. Loved the post though! I began the keto diet after reading your reset book on 6/1/18 weighing 230. On 10/7/18 I weighed 172. I feel good and believe my inflammation is down. But my TC, LDL-C, LDL-P, and HDL-P are very high and indicate a high risk for CVD. What confuses me is my HDL-C, triglycerides, small LDL-P, LDL size, and LP-IR are very good. During this time period I ate approximately 24 eggs/wk and four bacon strips 4/5 times per week. All other eaten foods were high quality fats, carbs, and proteins. My doctor put me on generic Lipitor. Any advice, suggestions, or explanations? Wow! Amazing synopsis of almost all of the popular diet such as Paleo, Low Carb, Mediterranean, Whole 30, Dukan, Carnivore, Bulletproof, and clean eating diet. One of my friend following the Paleo diet. Can you explain what is the most perfect diet and why? I agree that the Keto is he most sustainable diet. I always say lifestyle. However, my daughter who is very overweight tried Keto for a month and did not loose any weight. She did do the testing and she was in ketoisis. My heart broke for her cause she really did try. Any thoughts as to what might be her issues. Great overview, thanks! You seem to view lowcarb as a less intense version of Keto. But that’s not necessarily so. Keto is basically the new generation’s name for Atkins Induction; the true gateway into Atkins and sometimes other lowcarb programs. You stay under 20 grams of carbs a day (not counting fiber) and use ketone sticks to make sure you’re in ketosis and adjusting accordingly. Atkins suggested everyone start there for 2 weeks, but said some people need to stay there longer. Obviously, the details are things that will be individual. Some people need to be in ketosis to achieve their goals and some don’t. Thanks too for not perpetuating the myth that Atkins is about bacon, processed treats, and no veggies. Like with all these diets, there was a product empire bit (and not a good one), but Atkins himself promoted real foods and lots of low-starch vegetables.